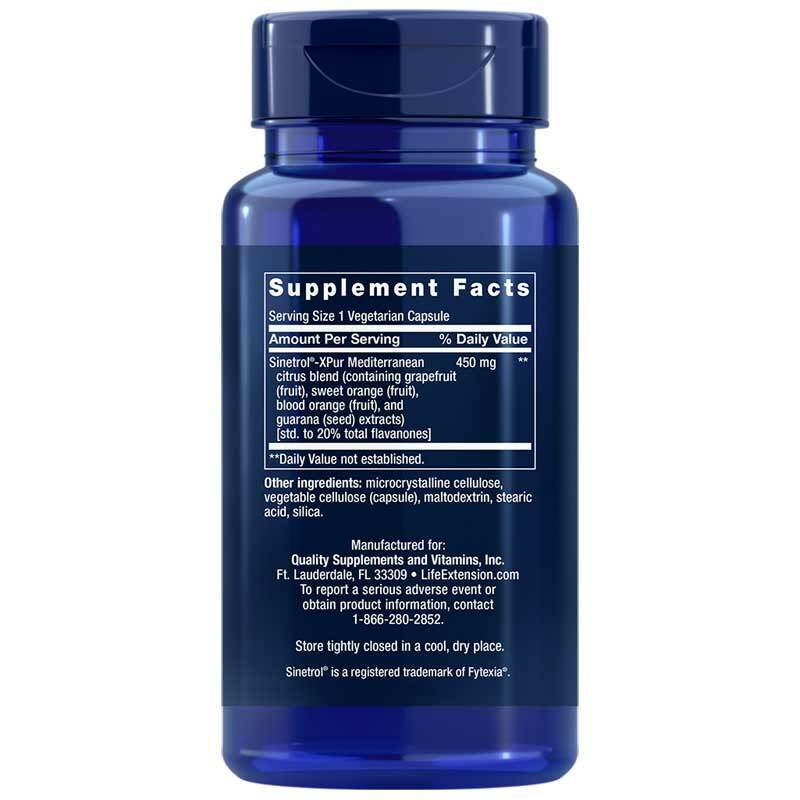 Mediterranean Trim with Sinetrol-XPur from Life Extension contains polyphenolic compounds from a blend of fruits to help support healthy weight management. Maintaining a healthy body weight may be tough for some people, even after proper changes have been made to daily dietary choices and a regular exercise routine has been adopted. If you've been searching for a way to further support your weight loss goals, Life Extension offers a good option. Mediterranean Trim with Sinetrol-XPure is a synergistic blend of different polyphenolic compounds that provide support for the maintenance of a healthy body composition. This product is formulated with an extract from Brazilian guarana seed that may support a lesser amount of stored fat. It is best used in conjunction with a healthy everyday diet and regular exercise program. Maintain a healthy body weight with all-natural support. 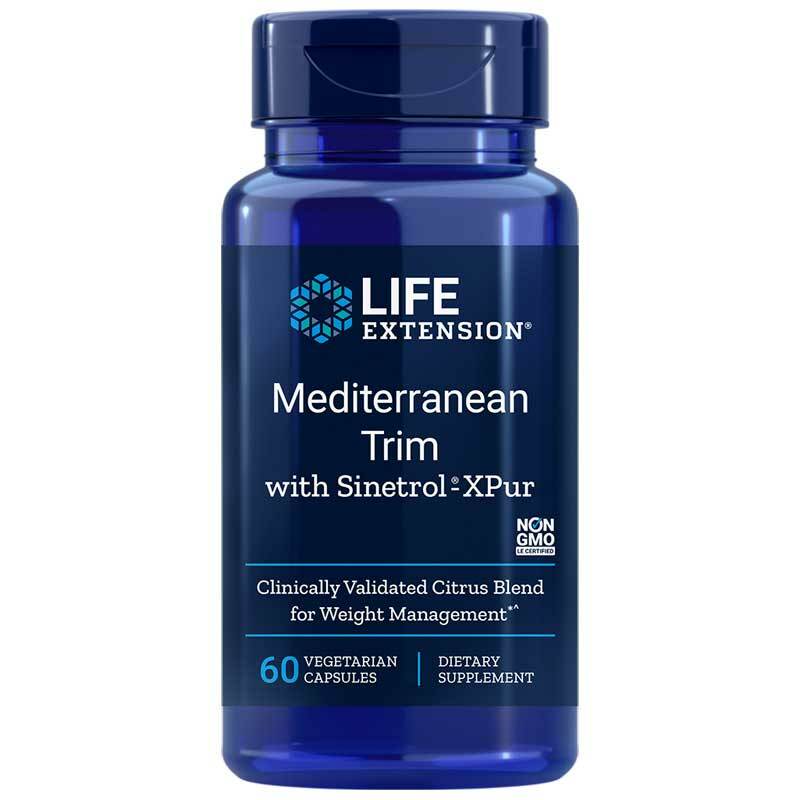 Give Mediterranean Trim with Sinetrol-XPur from Life Extension a try today. Order now! Other Ingredients: microcrystalline cellulose, vegetable cellulose (capsule), maltodextrin, stearic acid, silica. Non-GMO. Sinetrol is a trademark of Fytexia. Adults: Take one (1) capsule twice daily at breakfast and lunch, or as recommended by a healthcare practitioner. Each serving contains approximately 10mg of caffeine (the amount found in about 1/4 cup of brewed green tea). Do not exceed recommended dose. Keep out of the reach of children. When using nutritional supplements, please consult with your physician if you are undergoing treatment for a medical condition or if you are pregnant or lactating.